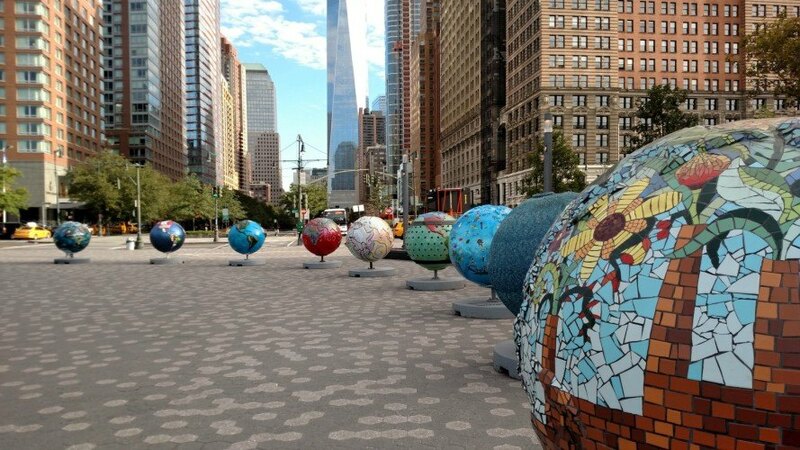 If you’re walking around Battery Park soon make sure to check out the globe-trotting, eco-conscious art installation “Cool Globes: Hot Ideas for a Cooler Planet”. The eco-initiative, created by well-known Chicago environmentalist Wendy Abrams, has been traveling the world in hopes of bringing attention to community and individual participation when it comes to combating climate change. Although undeniably pretty to look at, the 12 globes are more than just eye-catching eco-art. Since its creation in 2007, the exhibit has traveled the world, using the colorful orbs to spread the message of community involvement when it comes to impeding climate change. The Cool Globes exhibit will be on display at North End Avenue and Warren Street until Nov. 20th. You fool! Confusing Ecuador's flag with Colombia's! JARDON YOU FOOL! If you're walking around Battery Park soon make sure to check out the globe-trotting, eco-conscious art installation, “Cool Globes: Hot Ideas for a Cooler Planet”. The eco-initiative, created by well-known Chicago environmentalist Wendy Abrams, travels the world in hopes of bringing attention to community and individual participation when it comes to combating climate change. The eco installation will be on display until November 20th.